Desunda Singh sent this photo to Albert Moody SA. ca.1917. Dasunda Singh was born in Kapurthala, Punjab, India in 1879. He was the son of Boota Singh and had a brother, Chunda. Dasunda migrated to Australia in 1898. He began hawking in South Australia and in the early 1900’s he conducted his hawking business from the Murray River Paddle Steamer the “City of Oxford” with his friend Bhagwan Singh. The “City of Oxford” was owned by another of Dasunda’s friends Rhoda Singh who was also a General Storekeeper at Loxton, South Australia. Dasunda settled on the Eyre Peninsular in South Australia, to be more exact in around the Denial Bay – Ceduna area and spent most of his working life there. He settled on a farm in the early days after his arrival in Australia and tried his hand at Farming and Hawking. This area was declared marginal country because of the lack of rain and surface water. He can be consider to be a pioneer of the district as he is mentioned in early histories of the area as a farmer who was involved in clearing the virgin scrub, a thankless, difficult, lonely and dirty job. The area that we are talking about was covered with Saltbush and Mulga and Mallee trees as well as other desert and semi desert species of plants. To clear virgin bush it was necessary to first burn the scrub to thin it out. Left: City of Oxford Paddle Steamer. Courtesy of State Library of SA. 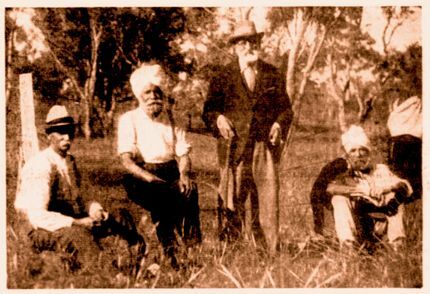 Right: Rhoda Singh, he was reported to be 105-110 years of age when this photo was taken in the 1930’s. From the collection of Claire Mincham & C. Stevens Tin Mosques & Ghan Towns. The scrub at that time at that time would have been dense and impenetrable. 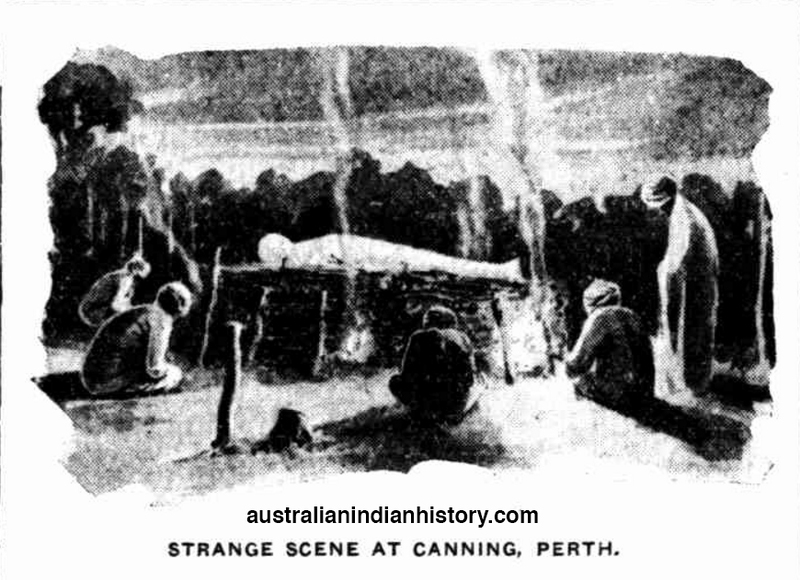 Then the land was cleared of the unburnt rubble which meant that the Mulga or Mallee which usually grew to a height of 3 metres high had to be removed by hand by pulling them out and in most cases were normally covered in ash; the ash with little or no water available for washing penetrated the nose eyes and hair and clothing. At this stage of clearing, after rain, grass grew in the bed of ash and animals could be grazed providing water was available. Then when time allowed the roots of these trees had to be removed by digging them out. This was done either by hand, or using teams of horses or camels. This was a very time consuming and strenuous job, and at that time it would have been possible to remove no more than one or two root systems in a single day. When the land was finally cleared: then and only then, was the land available for tilling the soil to grow mainly wheat. The animals that could be raised on this land would have been sheep, horses, camels or cattle.Dasunda’s farm, north of Denial Bay was approximately 15 miles from Ceduna the largest town in the area. How long he farmed there for is unknown or when he took possession of the farm this may or may not be disclosed after further research. By 1923 he had left the farm and was still working as a hawking. His farm was 12 miles away from a permanent supply of water at Charra Well and in times of drought or water shortage he would have had to cart his water from there; it would have taken 12 hours for the round trip to the well and back. After he left the farm at Denial Bay, he remained in the area and used the area as his base and from there he travelled as far to the south east as Adelaide and across most of rural South Australia travelling as far north as Marree. Mallee Scrub and Roots. The bulk of the tree is its large roots. 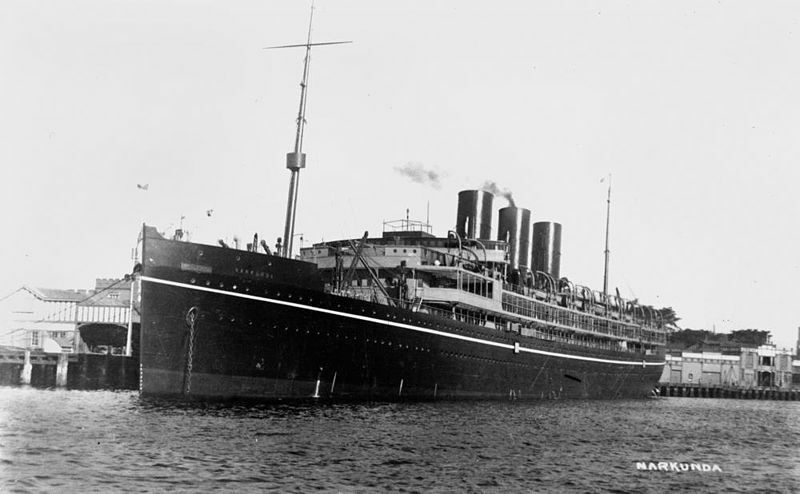 Towards the end of the First World War Dasunda enlisted in the 3rd Australian Light Horse in 1917 and on March the 6th 1918 he embarked on the “Ormonde” for Suez. 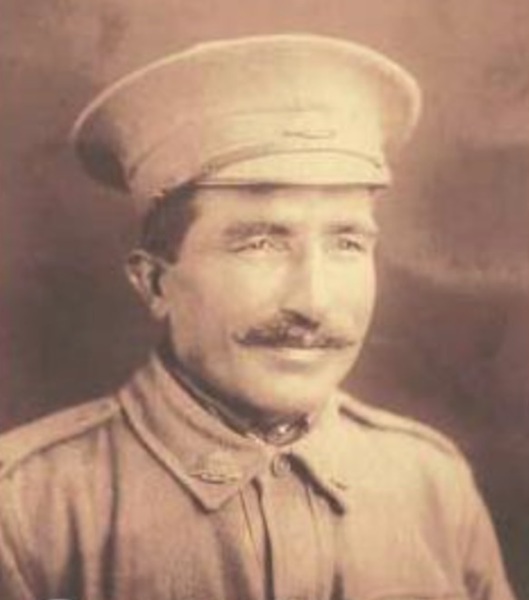 Later he was transferred to Palestine where he became ill or suffered an injury and was returned to Australia and discharged on October the 10th 1918. 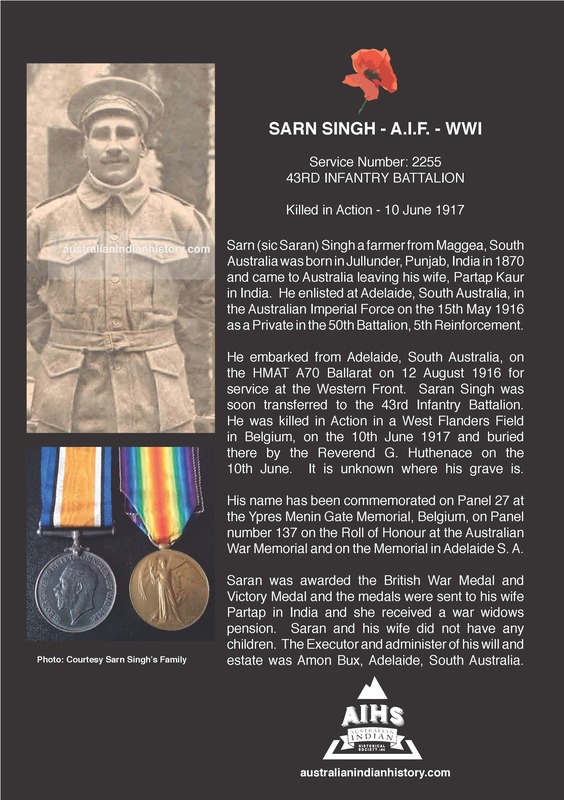 He returned to Australia with Sirdar Singh his friend from Adelaide. It is interesting to note that both Dasunda and Sirdar were accepted in the Australian Light Horse, as this was an elite Regiment and many good Australian Horsemen were rejected. It is suspected that Dasunda had served in the 16th Bengal Lancers and this would have certainly given Dasunda preference over other enlistments regardless of their nationality. Records confirm Sidara’s military record with the 16th Bengal Lancers and as they were close friends who travelled together it is reasonable to assume that they knew each other. In addition to this Dasunda wore a yellow and blue turban for most of his life and this was the Regimental Colours of the 16th Bengal Lancers. Dasunda returned to India on a number of occasions for holidays to visit his wife and children. He returned to Australia from India on the the 30th May 1939 on the “Narkunda” and the trail of Dasunda seems to end in Australia around the 1940s. However, he did finally return to his family in India, where he later became blind and died about 10 or 15 years later. Dasunda returned home on the Narkunda in 1939. Photo: Courtesy of State Library Queensland. BUDNA SINGH – Leederville W. A.